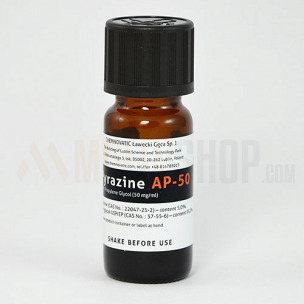 Acetyl Pyrazine AP-50. 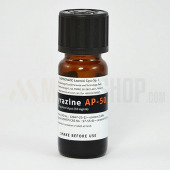 Concentrated flavouring to e-liquid mixing. Use to enhance tobacco flavour and bring out nutty and bread notes. 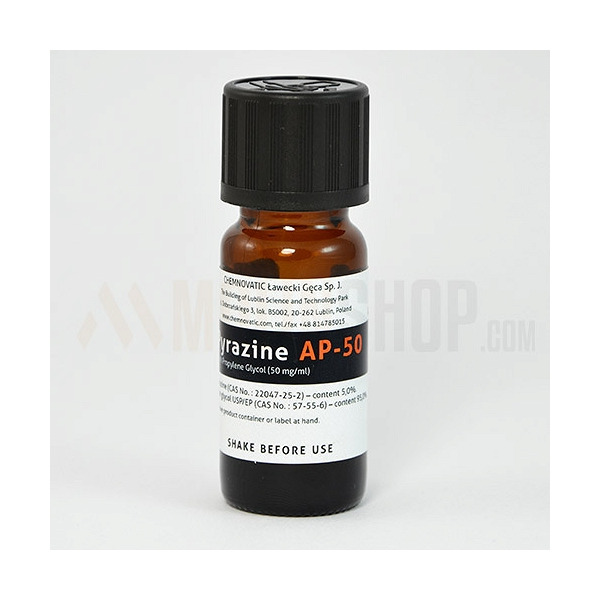 Acetyl Pyrazine AP-50. Concentrated flavouring to e-liquid mixing. Use to enhance tobacco flavour and bring out nutty and bread notes. Recommended dosage: 2-5%. Glass brown bottle 10ml. Black childproof, tamperproof cap with dropper to allow perfect dosage. Produced in EU.